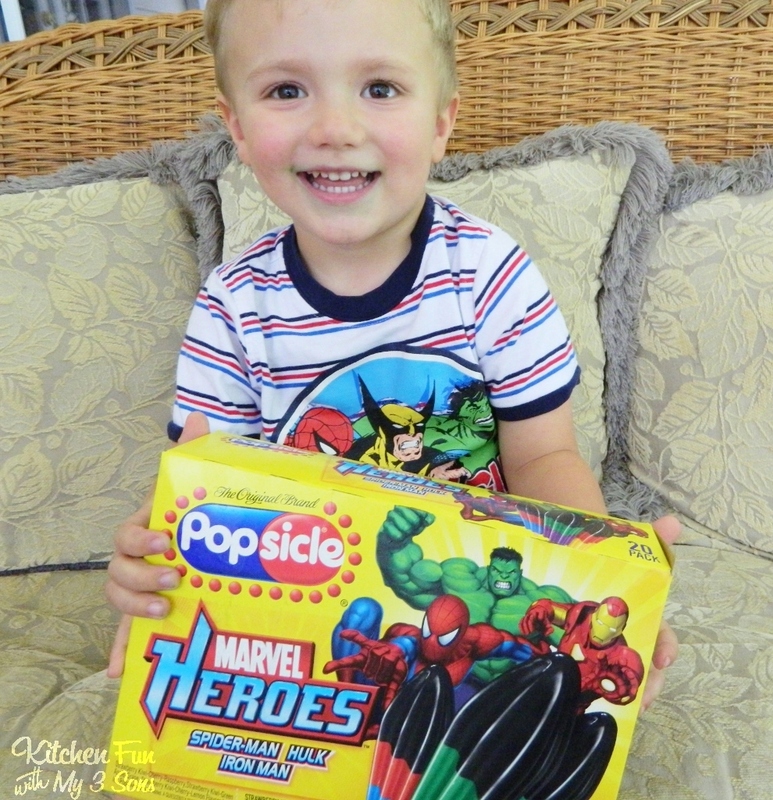 Popsicle Marvel Heroes with free Printable & Target Gift Card GIVEAWAY!! We are having fun being a 2013 ambassador for Popsicle this summer & my boys are loving every minute of it! 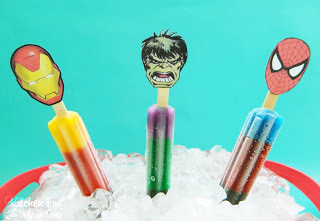 We spotted the Popsicle Marvel Heroes in the store & my boys insisted that we make something fun with them! 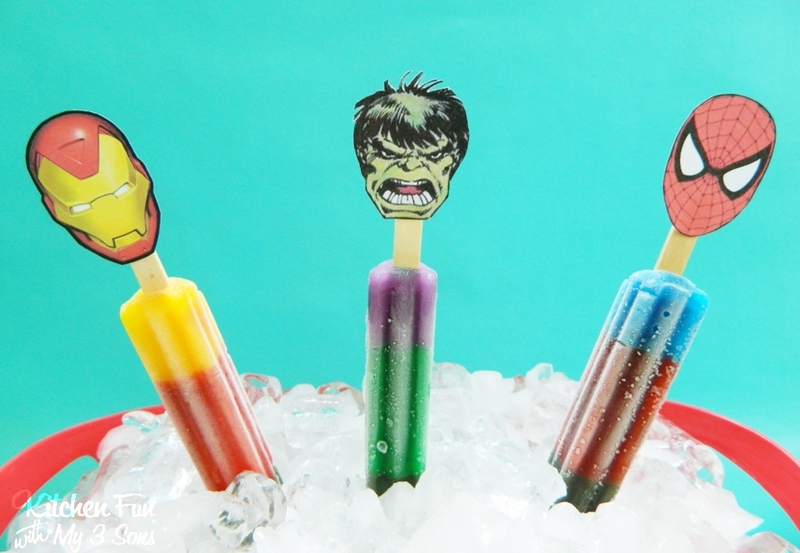 They are huge fans of Marvel comics & Popsicle so this is win win!!! We thought it would be fun to print out the different super heroes & add them to the end of the sticks. 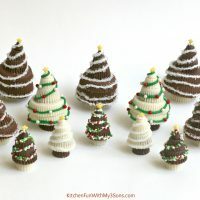 This is a fun way to serve them to the kids…especially for parties! 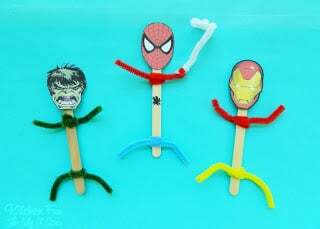 My 9 year old also created a few crafty heroes using left over Popsicle sticks. Take a look at the excitement from my 2 year old checking out the box…. 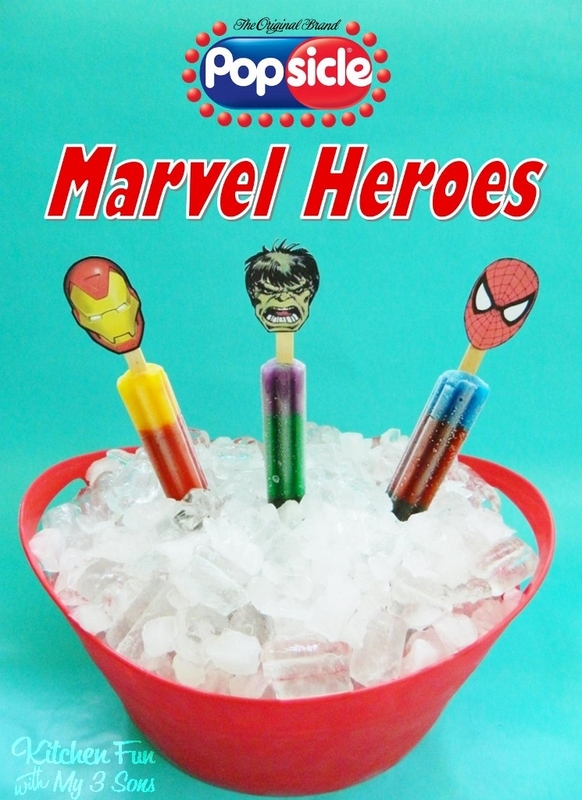 To make these fun Popsicle Marvel Heroes you need a small bucket of ice. 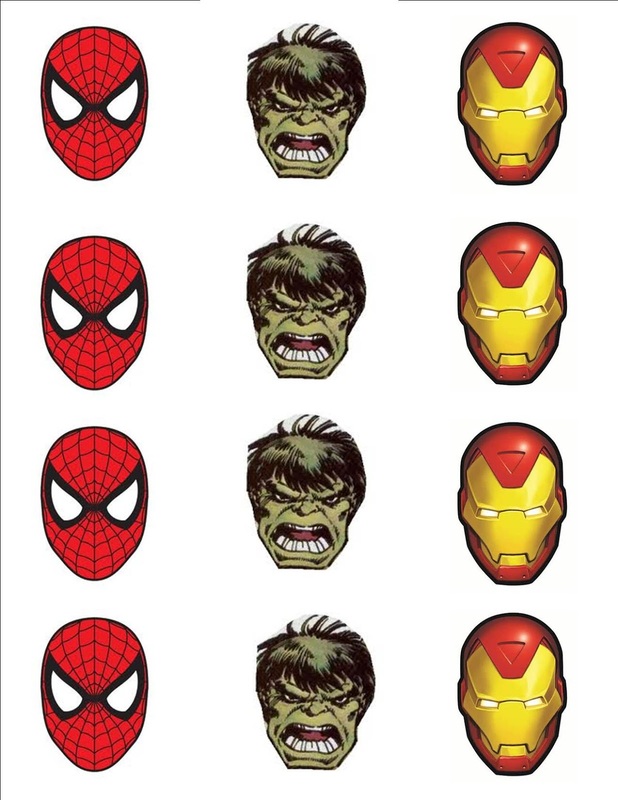 Then you need to click, print, & cut out these…. Tape them on the ends of sticks and that is it! 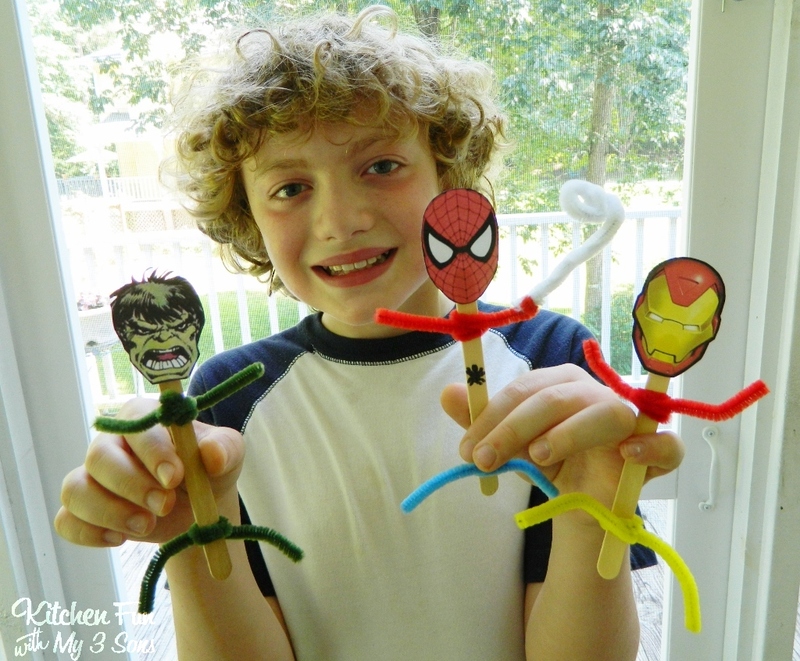 Super easy & the kids will love playing with them! 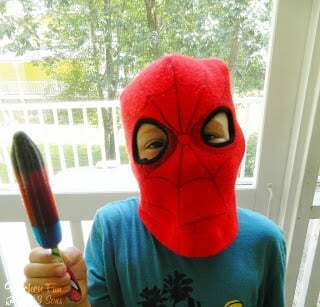 Here is Spiderman himself having one of his own Marvel Popsicle’s…. This little guy was absolutely in love with his Hulk Popsicle! Popsicle has so many awesome flavors including Jolly Rancher, Airheads, Sour Patch, Sponge Bob, Hello Kitty, Rainbow, & many more! They are all awesome, but my boys conclude that the Marvel Heroes are the best Popsicle’s they have ever invented! Little boys will just love these!! 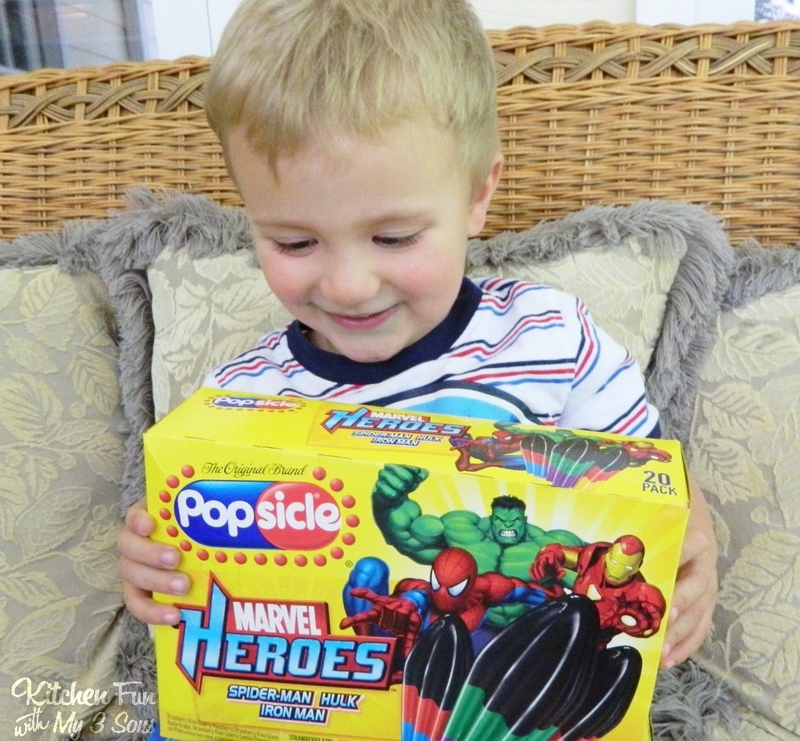 Now…how about a Giveaway for a $25 Target Gift Card & Popsicle Product Coupons! a Rafflecopter giveawayThis Giveaway will end on July 19, 2013! 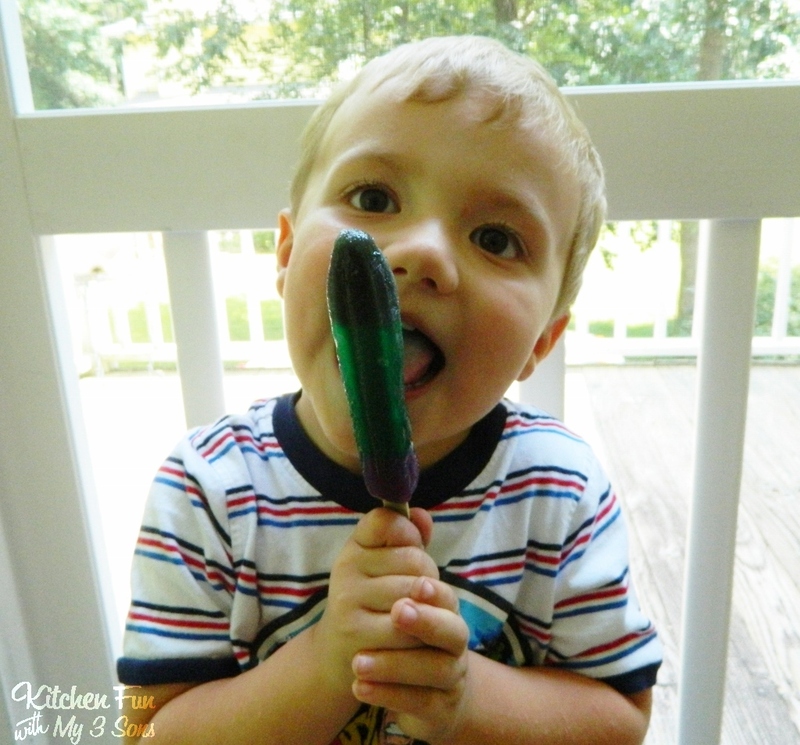 Next Post » Potty Training Fruit Snack & Other Potty Treats! These are great! Thanks for the printable! 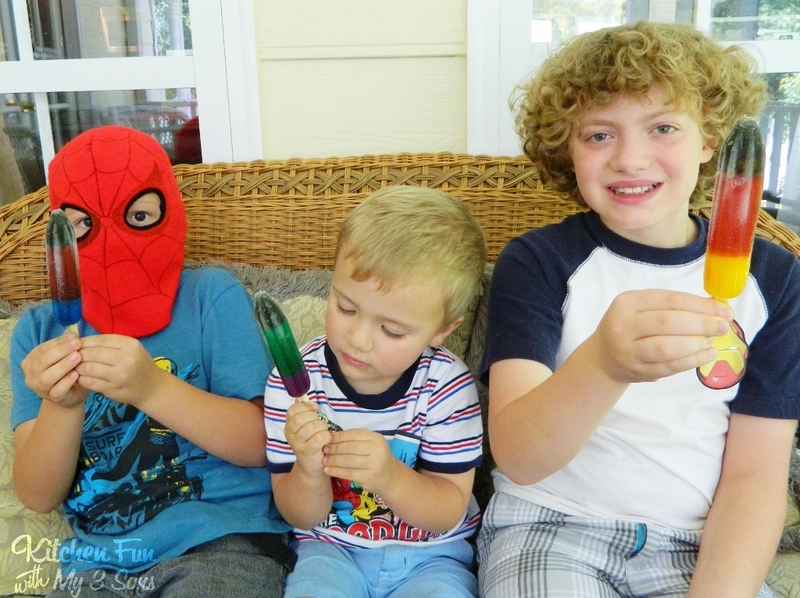 I have 2 superhero boys & they're fanatics about anything superhero! I love the grape popsicles.. This printable is great! 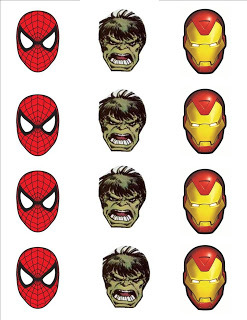 My 3 yr. old son loves anything with superheroes!! Anything red is my favorite flavor!! My boys love these superhero popcicles. 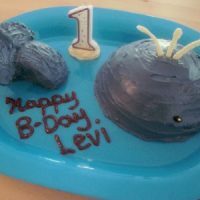 they became a big hit when my 5 year old got his tonsils out! I love the cherry ones as do my boys. I like orange and cherry. But, my favorite is the Creamsicle flavor! I love the Firecracker Popsicles the best! I like lemon and lime flavors. I like a cherry flavor. 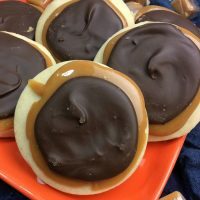 I love the root beer ones! Very cute, i like grape and living off of them now since preggo! I love popsicles, especially in this weather. Creamsicle . . . the BEST! Creamsicle . . . the BEST!!!! My favorite flavor is any sour flavors. Yum! love this page and target! Firecracker pops are my fave! Can't live without Target!!! Just had an awesome lemon-lime one today, but I think root beer would have to be my very favorite flavor in popsicle form. My favorite is cherry! It's a classic for a reason! Thanks for the giveaway, and the cute craft idea! My fav is cherry also, big shock!